Content writing may seem a lot easier thanks to the amount of information you can find online, but sometimes it’s difficult to sift through the junk and noise to find exactly what you’re looking for. Tools like Storify make it much easier for content marketers to gather the ingredients they need to tell their brand’s story effectively. 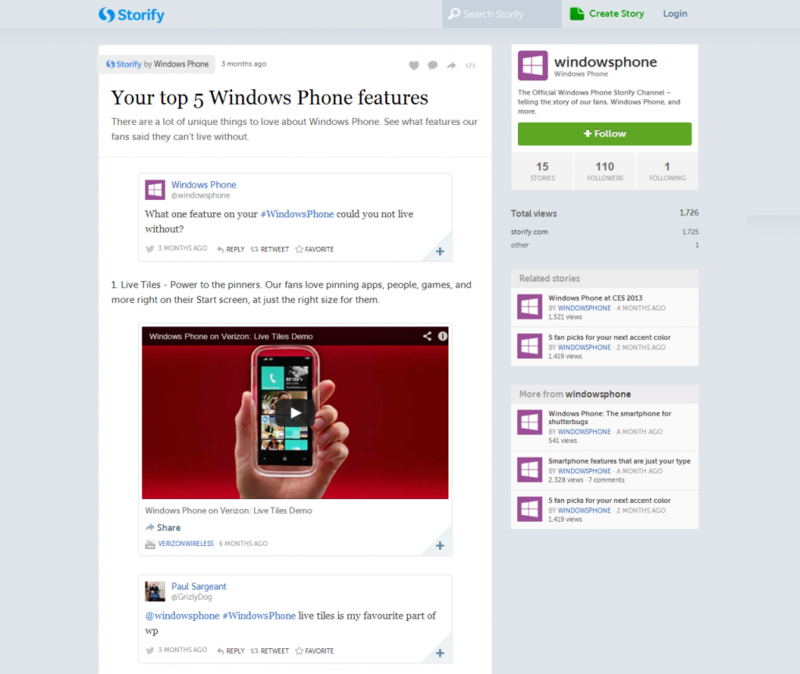 Storify has been around since 2010, and has always been a useful tool for news organizations. Marketers have also put Storify to good use by creating stories that engage their target market while promoting their brands. Here are some of the interesting ways successful brands and organizations have been using Storify to produce great content. Windows used Storify to compile the top answers when they asked their Twitter followers what Windows Phone feature they can’t live without. They even threw in a few of their own YouTube videos to show readers the features their followers were talking about. Asking your social media followers a question or creating a poll is a good way to get relevant feedback and responses. You can keep the conversation going by posting the most memorable answers and adding your own input. 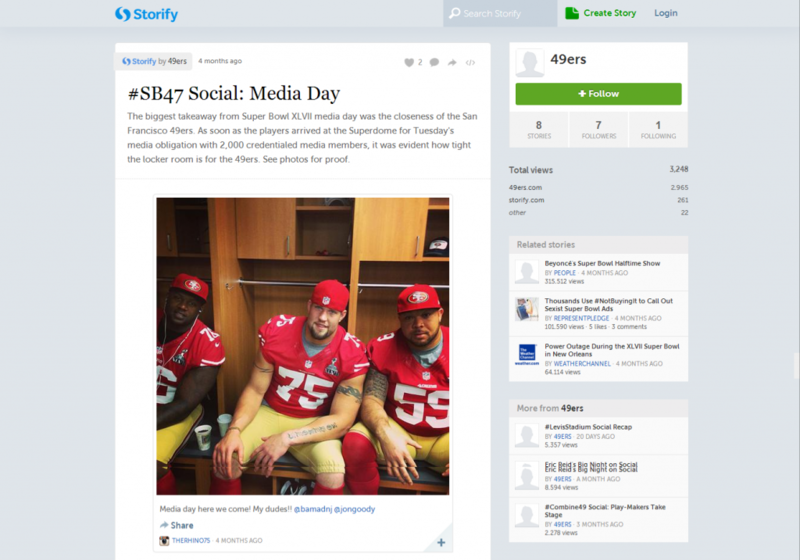 The San Francisco 49ers use Storify to compile photos and social media reactions to their events and games. Using Storify to document product launches and other events your company is involved in helps you create a detailed history or timeline of each event while presenting it to customers and prospects in an organized yet creative way. 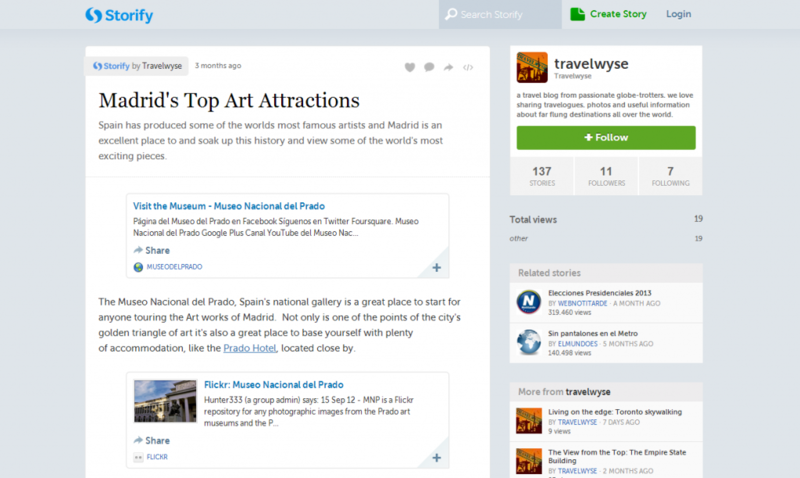 Travelwyse uses Storify to create lists of top destinations and tourist attractions for their blog readers. Creating top lists relevant to your business is a great way to build better readership because they provide useful and interesting information in a format that’s easy to digest. Reinforcing simple lists with user-shared photos and content can add flavor and a personalized touch to your articles. Vanderbilt University compiles its students’ school-related social media posts into “Our favorite Tweets and Instagrams” posts regularly. If your brand already has loyal advocates who often use social networks to share content related to your business, doing something like this is a good way to show customers you appreciate them while building up your brand’s identity. 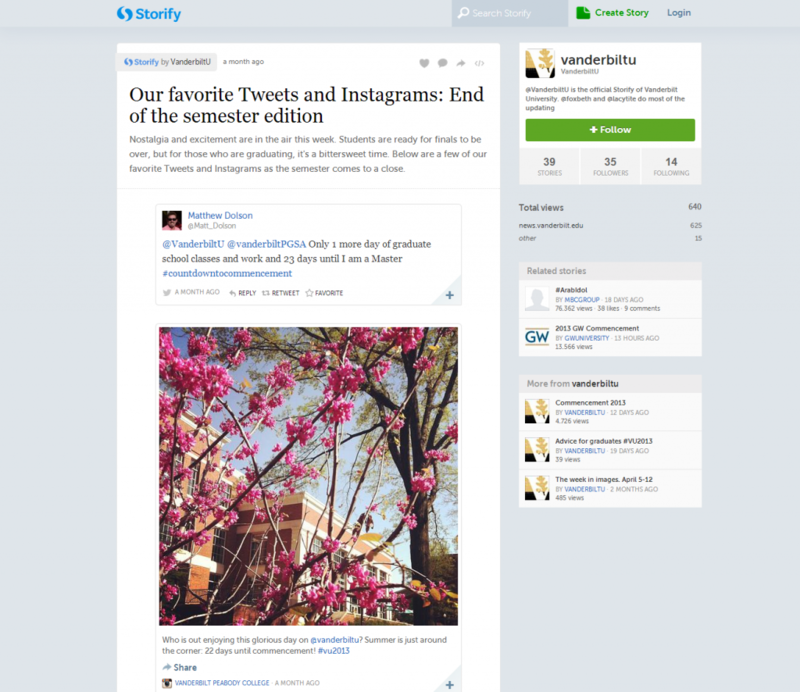 There are so many ways you can use Storify to create meaningful and user-driven content for your own blog or website. With the recent launch of the Storify Business package, you can use additional features such as SEO compatibility and custom embeds to further improve your brand’s storytelling endeavors.